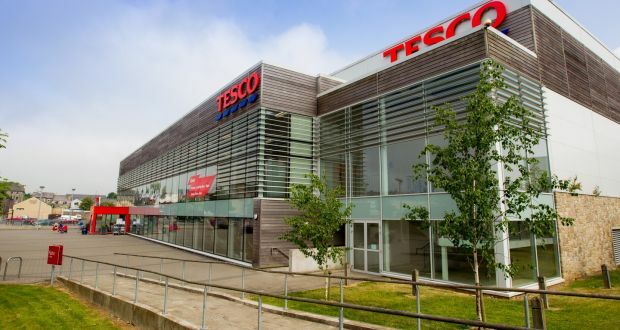 Two supermarkets occupied by Tesco and two more rented by Aldi are to be offered for sale at an overall price of €49 million, which will give the next owners a net initial return of 6.67 per cent. Sean O’Neill of agents TWM is handling the sale of the Supermarket Collection, which includes stores in Gorey, Co Wexford and Roscrea, Co Tipperary occupied by Tesco and others in Sandyford in south Dublin and Cahir, Co Tipperary, operated by Aldi. The overall portfolio extends to almost 16,000sq m (172,000sq ft) and produces a rental income of €3.41 million per annum. The average unexpired lease term works out at 11.35 years. The four stores were developed and opened at different stages by Israeli developer Igal Ahouvi, who has an intimate knowledge of the supermarket industry. The rents are linked to changes in the Consumer Price Index. About 74 per cent of the rent roll comes from Tesco, which has the second-largest share of the Irish grocery market at 22 per cent. Aldi accounts for 11.5 per cent of the overall market. Though the retail sector generally is increasingly being challenged, the grocer business continues to trade well. The latest findings by researcher Kantor Worldpanel on August 13th shows that the grocery market grew by 2.2 per cent during the last quarter compared with 2 per cent in the previous three months. Sales in the 12-week period were up €45 million to €2.34 billion. Tesco and Aldi were among the fastest-expanding retailers over the 12 weeks to August, both with sales growth of 3.4 per cent. The Sandyford supermarket extends to almost 1,854sq m (20,000sq ft) and is rented by Aldi for just over €600,000 per annum. The 25-year lease has been in place since October 2011. The Gorey supermarket is the largest in the collection, with a floor area of 8,109sq m (87,000sq ft) and an overall site of 8.5 acres. Tesco operates the supermarket under a 25-year lease from 2014 at a current rent of €1.57 million. Tesco is also renting the Roscrea outlet, which extends to 4,333sq m (46,000sq ft) and has 224 car parking spaces. The supermarket is held on a 35-year lease from 2011 at a current rent of €950,000 per annum. Aldi has been renting the Cahir building from 2010 under a 25-year lease with no break options at a rent of just over €288,000. The building has a floor area of 1,673sq m (18,000sq ft). Sean O’Neill said the vendor would accept offers for a combination of assets as they did not have to sell as a single package. He said the long-term secure income flow backed by excellent tenants in a growing market sector would suit investors seeking security in uncertain economic times.